We at Parker Homes have continually exceeded the industry standard for quality custom home building in the Texas Hill Country area. As a family-owned and operated business, Troy and Lisa Parker personally oversee and manage the process of every single project. The Parker Homes Team has proven to be the go-to team when you want the home of your dreams. We are here to help make your dream come true. Parker Homes LLC is a family-owned business, and we strive to make our clients feel like part of this family. Your interests and wishes are our first and foremost concern. Troy Parker has been making dreams into homes for 22 years. With the help of his wife Lisa, they are actively involved in the steps needed to get from your dream to your reality. They are selective in their building, allowing them the time and energy to devote to you and what you believe in; making it a hands-on, personalized approach. Their mission is to provide you with an experience that not only meets, but certainly exceeds, your expectations. QuarterLab employs impeccable aesthetic and spatial design with soulful materials and textures. Projects include home building, full house renovations, tiny homes (accessory structures) and outdoor living spaces. Quarter Lab is a laboratory for producing beautiful living quarters. For Onion Creek residential home builders who also act as developers, the job starts well before the first nail is driven. They perform local market research to determine whether the prospective homesites make sense in the Onion Creek, TX market, as well as survey the land on which the house will be built to make sure it is suitable for construction. Custom builders also obtain the necessary permits. 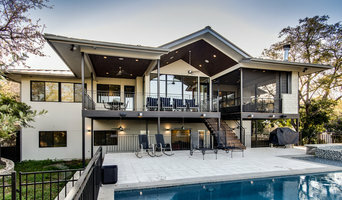 A good custom home builder in Onion Creek, TX has skills that go far beyond construction — he or she must supervise subcontractors and artisans; keep tabs on local zoning regulations, building codes and other legalities; inspect work for problems along the way; and perform dozens of other roles that are essential in building a quality house. Here are some related professionals and vendors to complement the work of home builders: Interior Designers & Decorators, Landscape Architects & Landscape Designers, Architects & Building Designers, Kitchen & Bath Designers, Specialty Contractors. House builders are responsible for ensuring that the home-building project sticks as closely as possible to the specified timetable, particularly in the event of change orders. 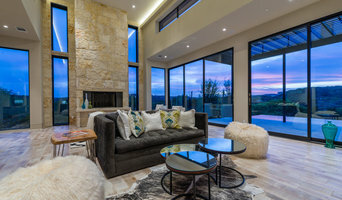 Custom and luxury home builders in Onion Creek, TX also need interpersonal skills to deal with clients of all types, soothe frazzled nerves, negotiate conflicts and resolve problems. Find custom home builders in Onion Creek, TX on Houzz. Narrow your search in the Professionals section of the website to Onion Creek, TX home builders. You can also look through Onion Creek, TX photos to find a house you like, then contact the builder who worked on it.